11th Ever L.A. Old Time Social Friday Night Concert! 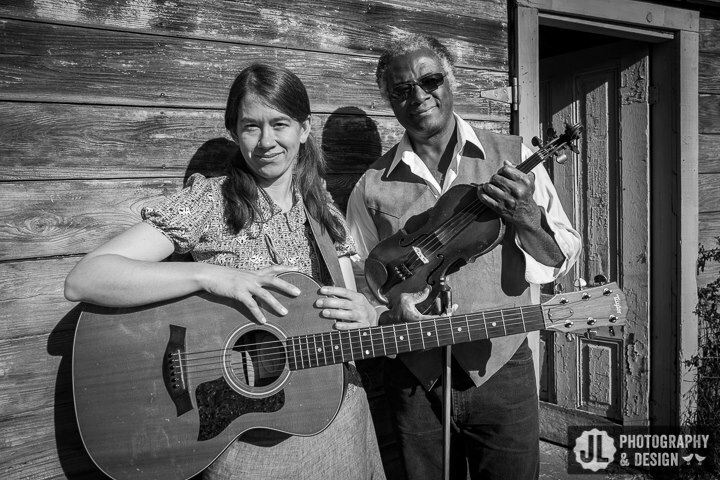 Earl and Adrienne are the foundation of the Earl White String Band, an energetic, driving, old time string band that have pleasured audiences and dancers across the nation. They have been joined by various great musicians, such as Mark Olitsky (banjo), Joe (bass) Desjarnette, Chris Jong (banjo), to name a few. Currently they are joining forces with another dynamic duo, Evie Ladin and Keith Terry. 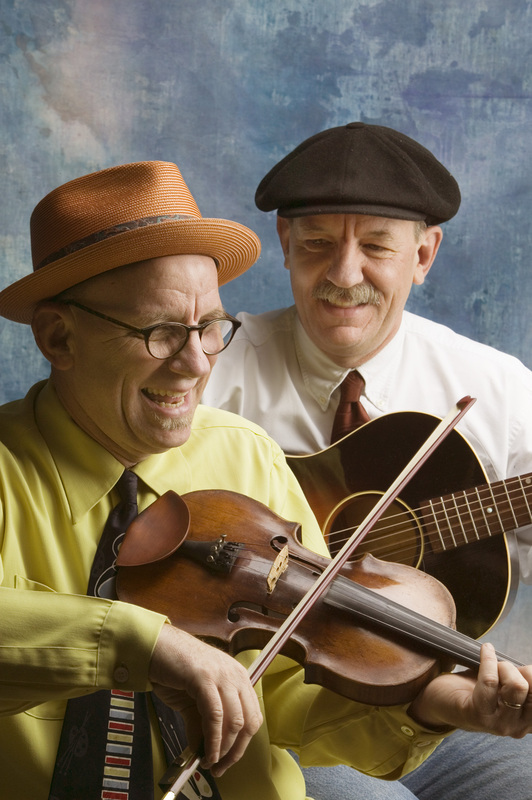 Twins, Greg and Jere Canote, make their first Los Angeles appearance with their infectious fiddle tunes, nutty novelty numbers, and enthusiastic attitudes. Greg and Jere have been performing together since childhood, from their first-grade role as Christmas elves tap-dancing around the wishing well, to their thirteen-year stint as the affable sidekicks on National Public Radio’s Sandy Bradley’s Potluck. They have played for concerts, dances and musical events in forty-seven states and a few foreign countries. 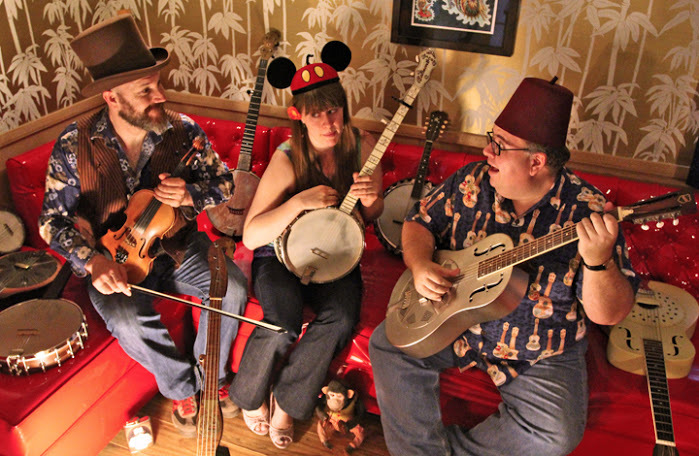 With guitar, fiddle, harmonica, ukulele, banjo, and genetically matched voices, these guys love to share what they do. Fiddle tunes are their first love, but they also sing together in the tradition of the brother duets. With a nod to the Vaudeville days, they are always eager to dip into their bag of tricks. For over thirty years, they have taught a thriving Seattle string band workshop and have been regular teachers at the Festival of American Fiddle Tunes, Rocky Mountain Fiddle Camp, Portland Uke Fest and many more. This entry was posted on Thursday, February 18th, 2016 at 8:03 amand is filed under . You can follow any responses to this entry through the RSS 2.0 feed. Both comments and pings are currently closed.